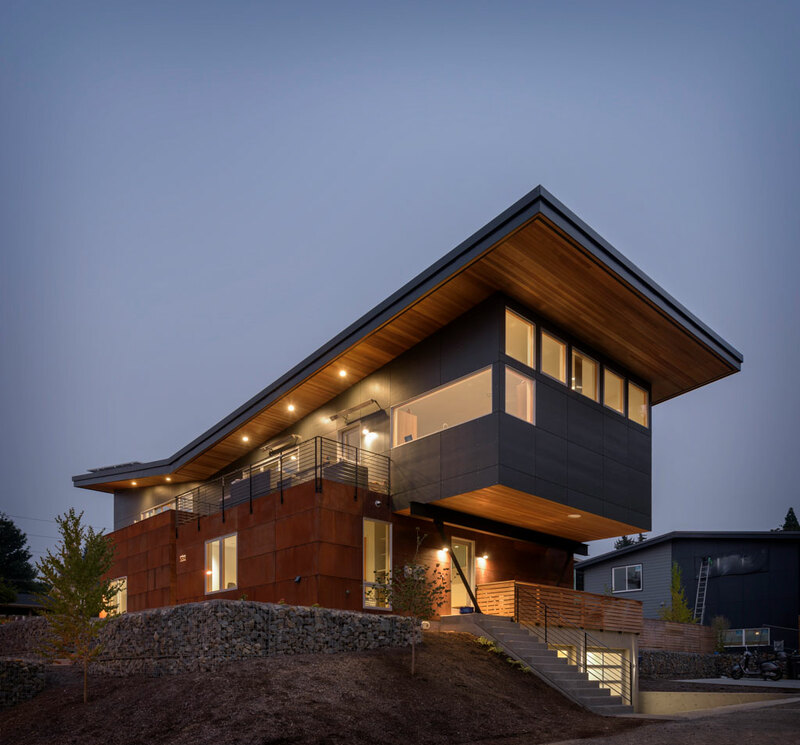 Selected as the November 2001 Seattle Times/AIA Home of the Month and the AIA/Seattle Times 2001 Home of the Year, these four speculative residences were constructed on 1-1/2 acre sites in Bothell, Washington. 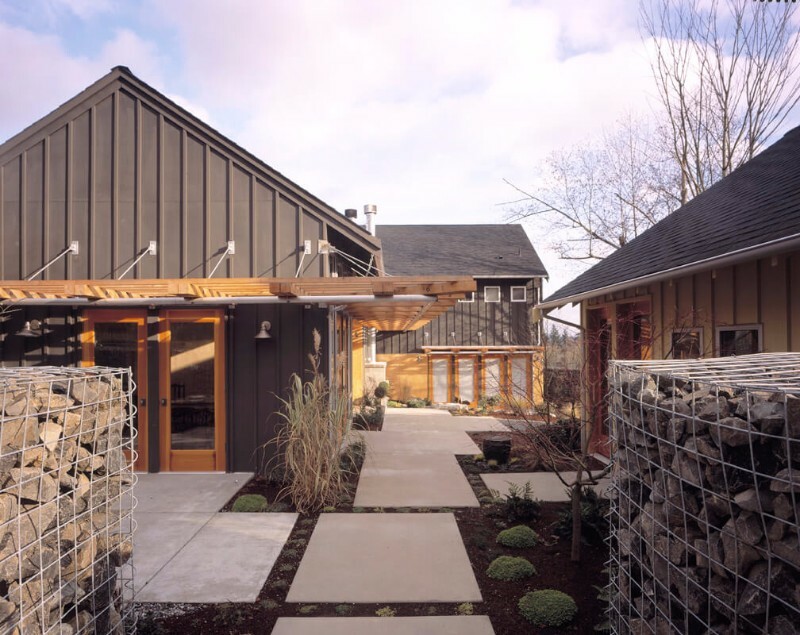 Landscaped circular courtyards screened with stone gabion walls link four simple pavilions and provide private green space. 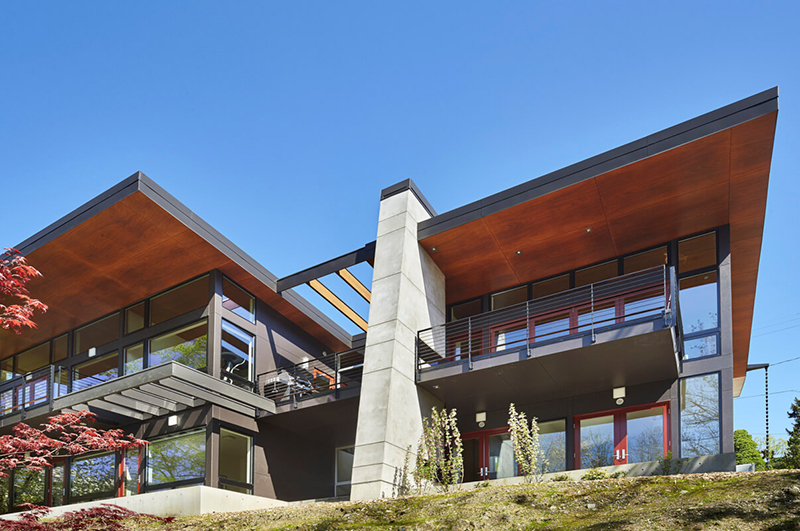 The Norway Hills residences offer flexible, simple living space intimately connected with the surrounding land as an alternative to the "Street of Dreams". 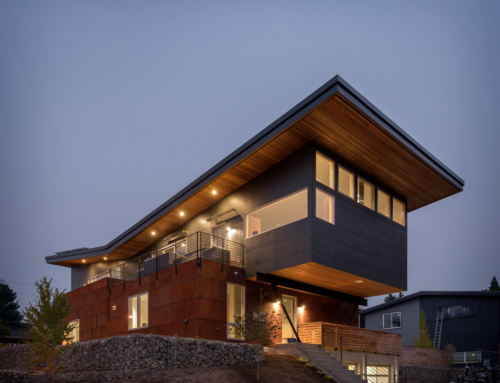 Three pavilions housing living, dining, kitchen, bedrooms and garages are linked; a fourth pavilion provides flexible space for a home office, workshop, playroom, or a "mother-in-law". 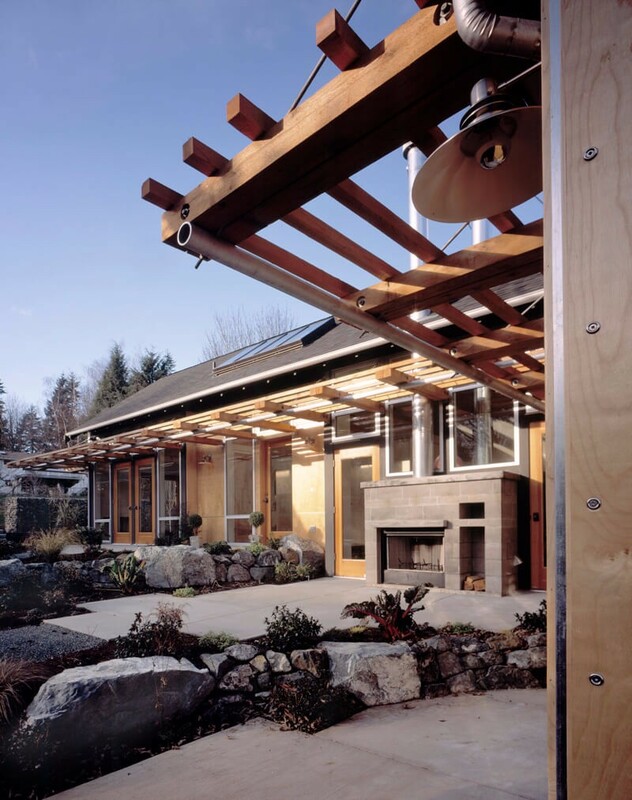 Glass window walls and deep trellis canopies extend interior space into the courtyards. 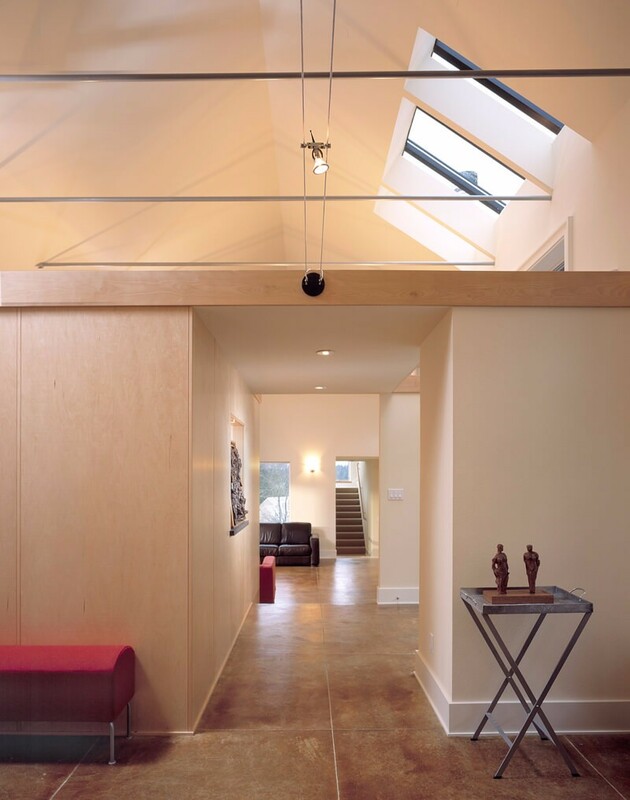 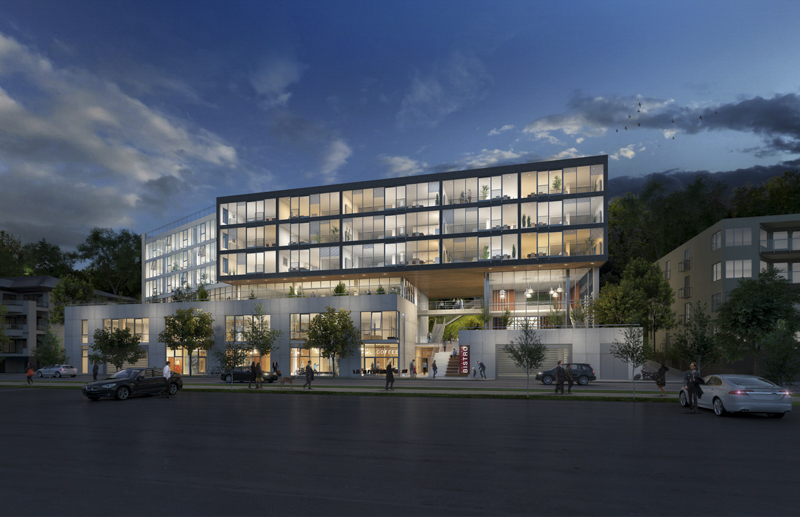 All four residences feature vaulted ceilings, kid's lofts, and interior windows and skylights. 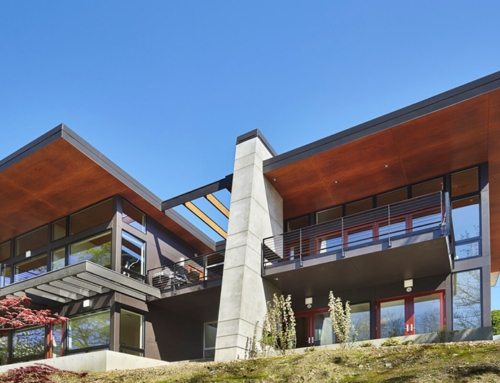 The four houses were distinguished with a pallet of natural materials including Douglas Fir, birch, pine and mahogany paneling and woodwork. 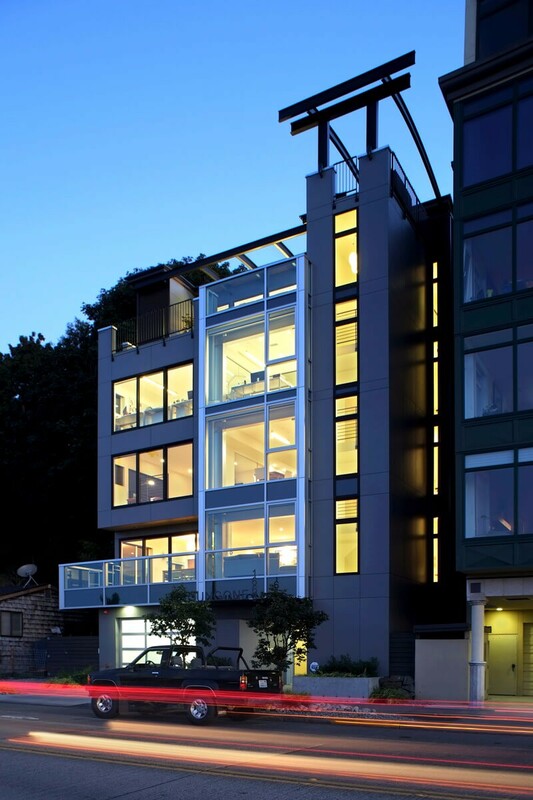 After purchasing these residences the new owners have all sought out and worked with Rhodes Architecture + Light. 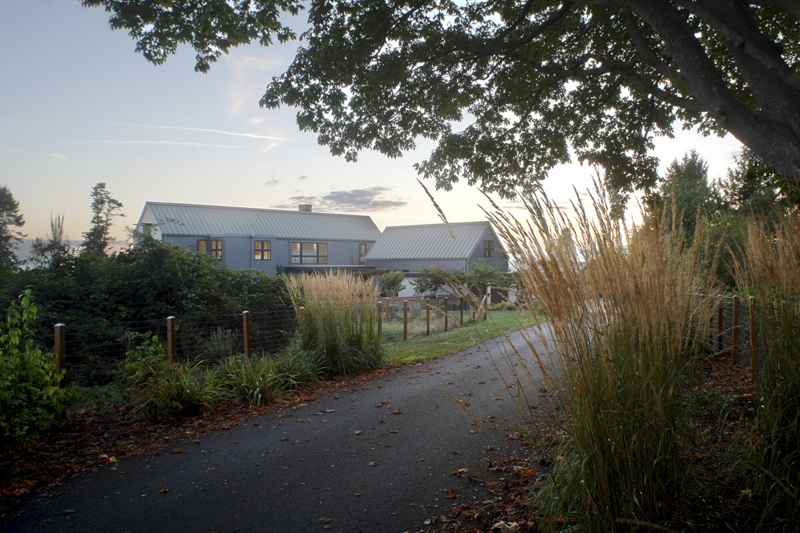 We have added a pool courtyard, new landscape elements, and chosen colors and materials together with the new owners. 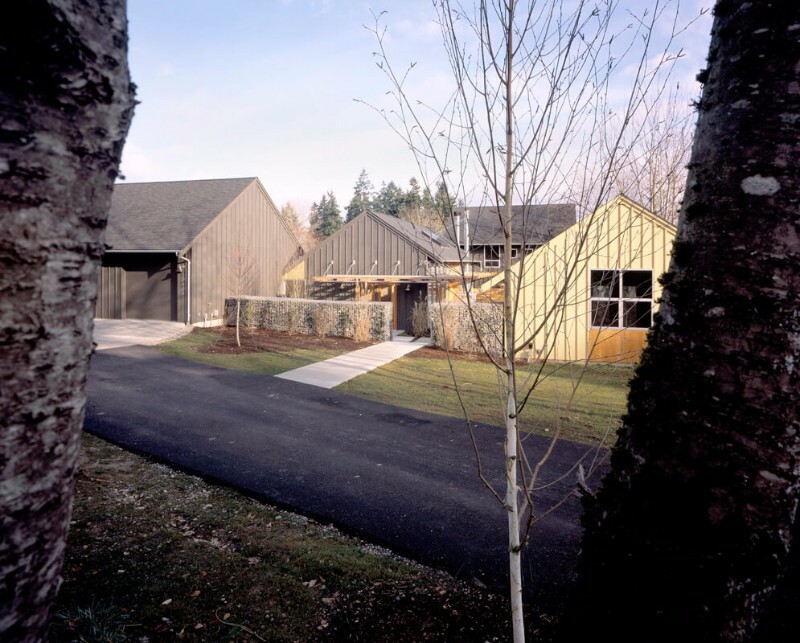 Norway Hills was selected as a Seattle Times / AIA Open House and featured in the Seattle Times on November 4, 2001. 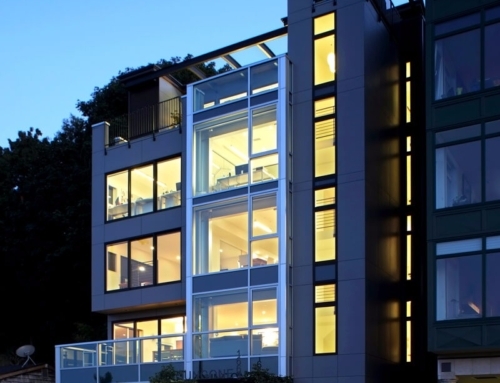 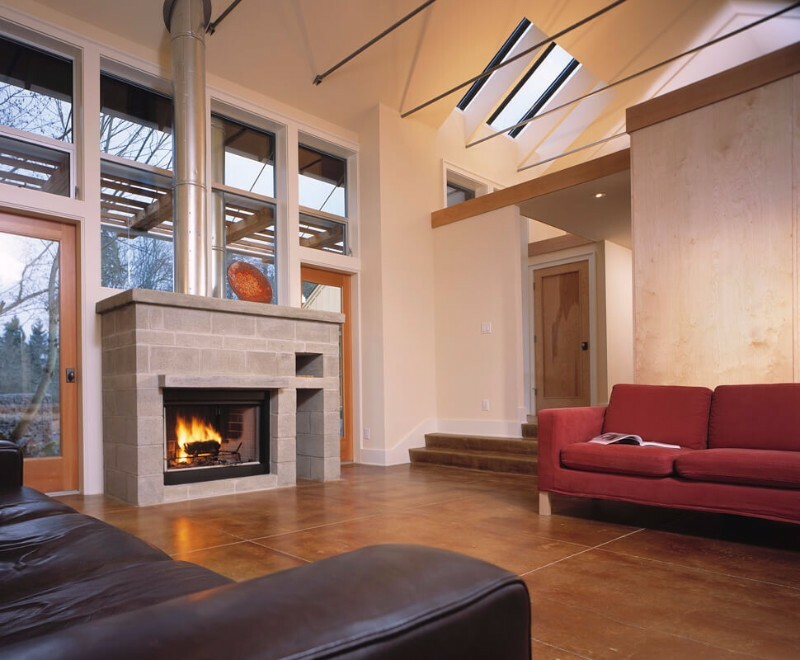 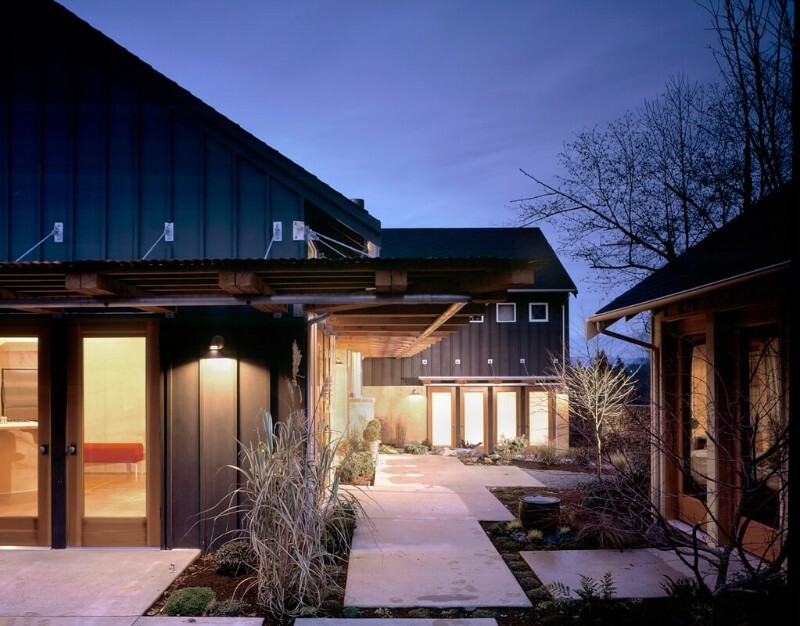 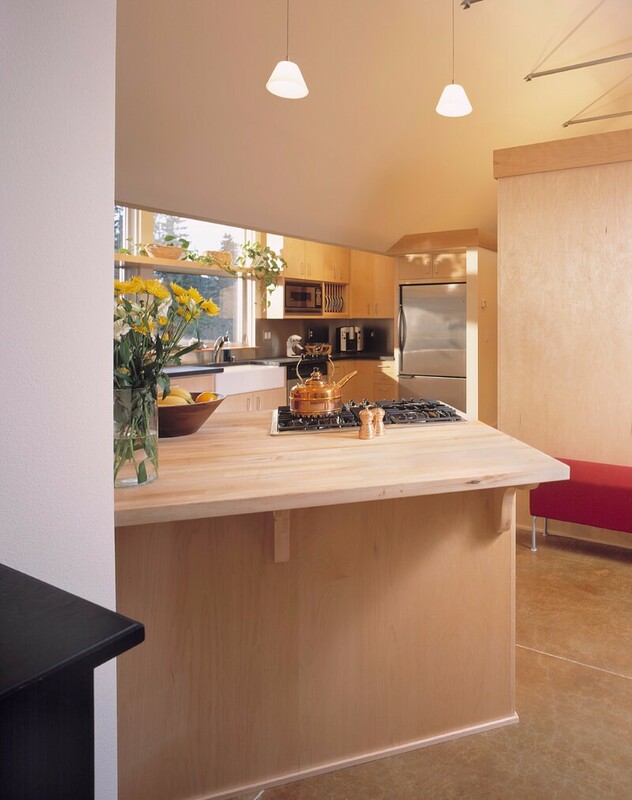 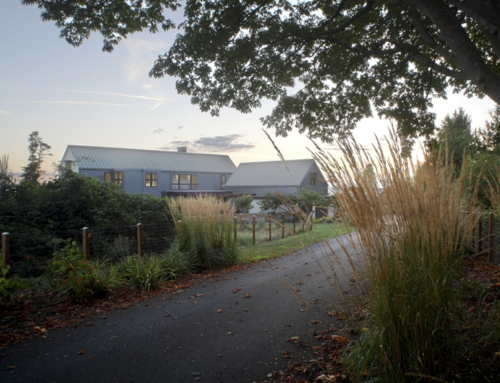 The Project was selected from 14 award-winning houses as the 2002 Home of the Year and featured in the February 24, 2002 Pacific Northwest Magazine. 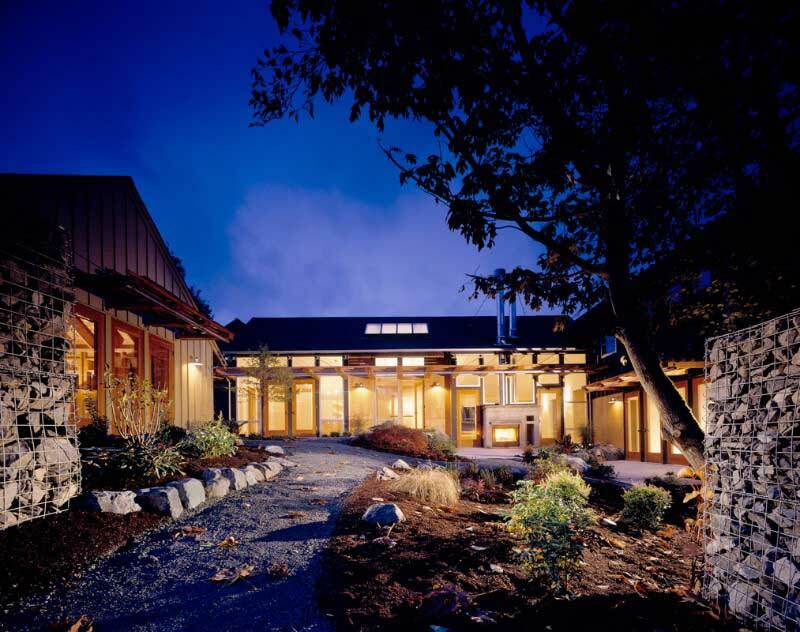 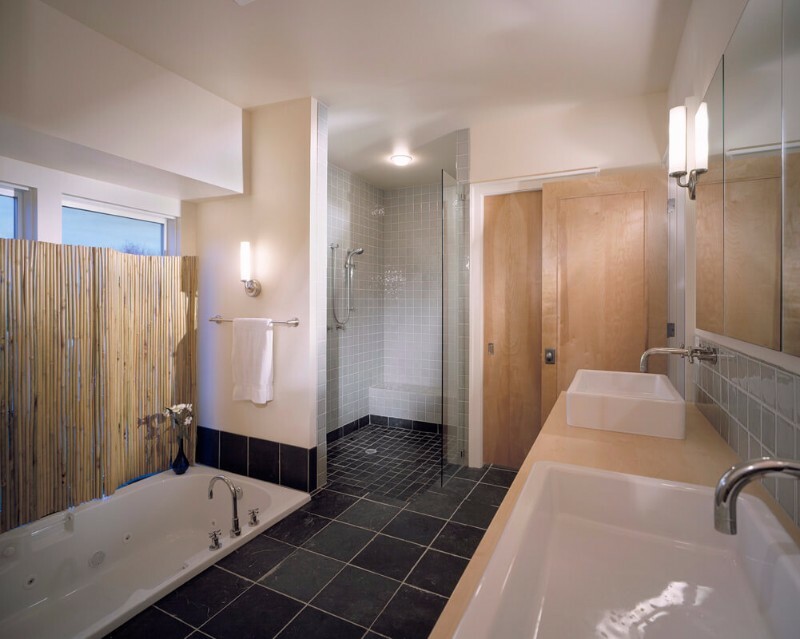 Norway Hills was also selected for a 2001 IIDA award for excellence in residential lighting and efficient energy use.